Now, more than ever, recruiters need to be on their A-game when it comes to high-volume recruiting events. High-volume recruiting is taking over the recruiting landscape, so what is your team doing to beat the competition? 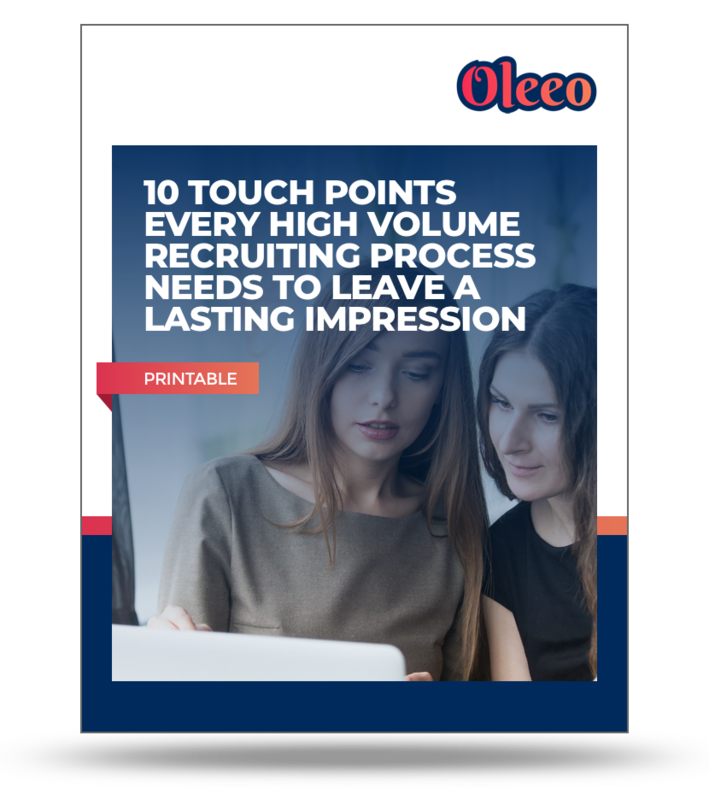 Considering we are in a candidate-driven market, it is imperative to engage and provide the best candidate experience when recruiting. 72% of candidates shared a negative experience online or with their peers. It’s incredibly easy for your candidates to share, making it crucial to get your recruitment process right. Doubling down on feedback – give candidates the time and attention they deserve at every touchpoint. Identifying why you’re the best employer for their needs – be open (and honest) with candidates about what makes your business great. Providing real-life examples of your employer brand – give candidates current employee testimonials to show what a “typical day” is like at your company. 2. Engage at every opportunity. Gamification can be a huge asset to any hiring event or large-scale recruiting effort. It’s a great opportunity to create buzz about your business and engage candidates in fun, proactive ways. Play some games and offer rewards or incentives for interaction. Get your candidates active and moving! Mobile Apps can help recruiters get ready by storing candidate information in one place. Some events might have an app that can be easily downloaded so your recruiters know where they need to be throughout the event. Registrant Communication should be at the top of your mind throughout the event. Communication with candidates should be a fairly similar experience for any candidate you’re talking to. Company Culture should be promoted first and foremost at events. This is what brings candidates to your table and what keeps them engaged when the event is over. Share with candidates what makes you great. 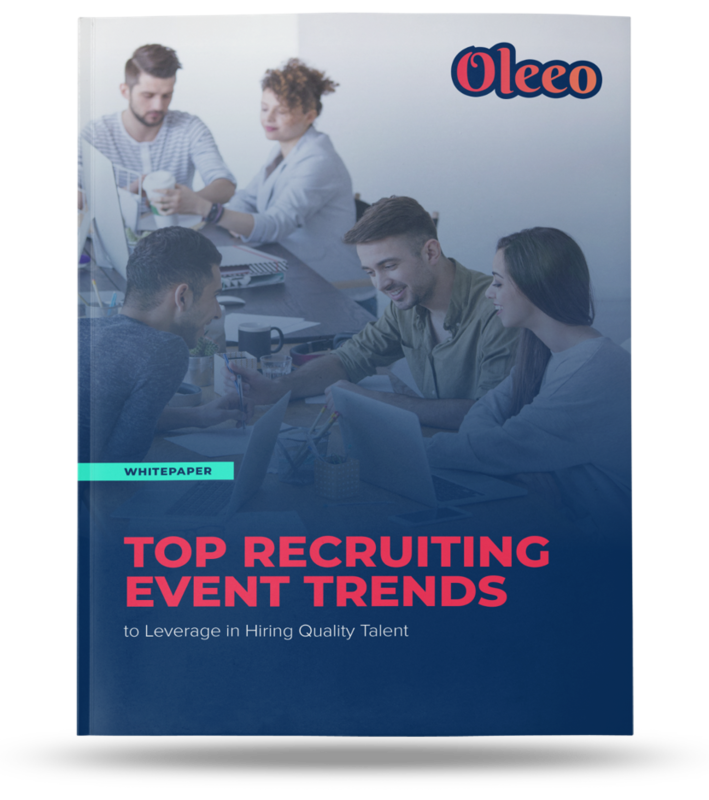 Want to read all the recruiting event trends to get you ahead of the competition? 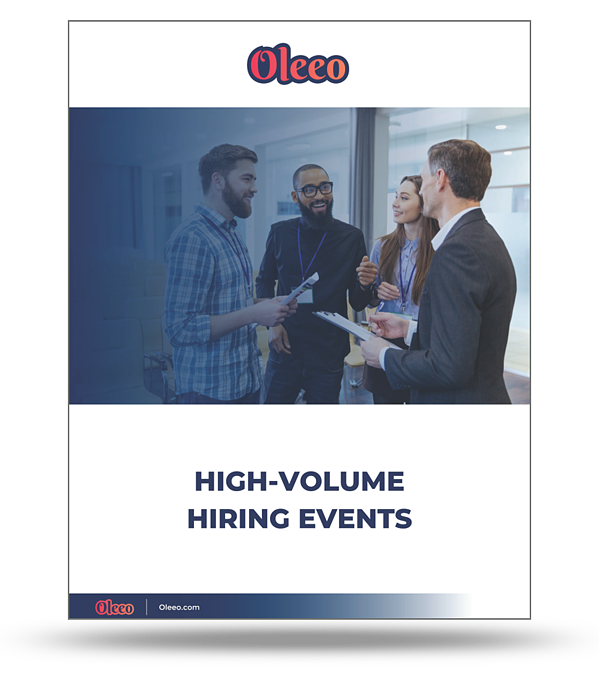 In order to make your high-volume recruiting events more successful, you need to develop a strategy to use after an event. It is crucial to set communication expectations and continue good impressions. Develop event rituals to ensure you are up to par with current recruiting event trends. It’s important to compare various high-volume recruiting strategies in order to find qualified candidates. Do you know what you need for the events you’re attending? How are they different? Similar? And how are you going to make them successful? Whether you’re recruiting on-campus or off-campus, you’re going to need to be prepared for the surplus of students of all ages coming your way. In each type of recruiting event, you have the opportunity to show off the best parts of your company. Whether you’re attending a campus career fair or bringing candidates to your office, recruiters should be promoting why they love working there and why the candidates will, too. On-campus recruiting: Just like the name says, you are going straight to the source to find talent. These are usually at a college campus or career fair. On-campus recruiting events give you the opportunity to establish or reinforce why your organization is a great employer. The challenge with on-campus recruiting events is it’s often difficult to create a unique and tailored experience when you’re screening a large number of candidates all at once. These events allow you to do two crucial things: bring in candidates who are interested in your industry and develop your reputation and employer branding to nurture promising talent. The main difference? Going off campus gives you a little more freedom. Use different environments to try out various tactics to see what works best for your organization. Recruiting events put you ahead of any competition that merely talks on the phone or schedules one-on-one meetings. Hiring events allow you to meet several candidates in one place. This ensures you have the opportunity to meet dozens of candidates. They also increase brand awareness by building your name recognition. Simply using a hashtag at events show candidates the type of cultural experience they can expect when working for you. Are You Standing Out at Recruiting Events? Here’s How. Events are something that all recruiters should look forward to. It’s a chance to show off what your business has to offer and inspire candidates to join your team. But, you need to figure out what works and what doesn’t. Begin by engaging with all of your potential candidates. Shake hands, ask questions and get to know them to see if they are the right fit for your company. This will give candidates an opportunity to learn about your culture, your values and more. Events are often used as great talking platforms not only to engage, but also build brand awareness and continue the relationship with your talent pipeline. When candidates attend events, they are more likely to stay connected and interested in a company, even if they aren’t the best fit at the time. This allows you to build your network while opening and strengthening your relationship with current and future potential candidates. 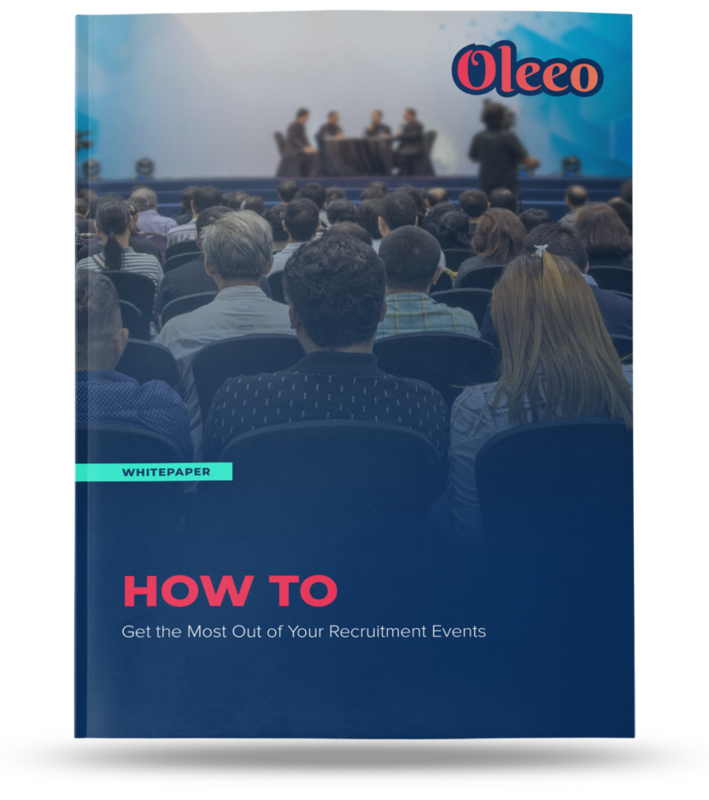 Download our Undeniable Ways to Master Recruiting Events Whitepaper! On or Off Campus and Early Careers Recruiting: What's the Difference?